Shown below is a sample of Muslim (islamic ) wedding Ceremony card wordings in English for inviting guests for their courteous presence on your Son wedding. You can use the islamic Wedding Ceremony Card Wording examples in invitations for inserting text in the matter for Son Wedding Card. 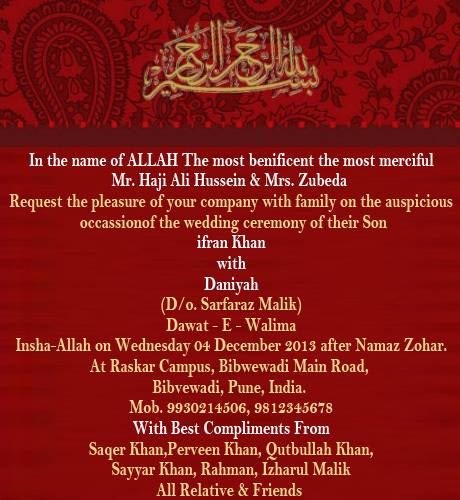 Insha-Allah on Wednesday 04 December 2013 after Namaz Zohar.